The McKenna Transition House is our home, we are the older children at The Good Life Orphanage and we are all learning how to care for ourselves in preparation for life outside the security of the orphanage. We are truly blessed to live in such a loving & caring environment thanks to the generosity of Dermot & Jackie McKenna. 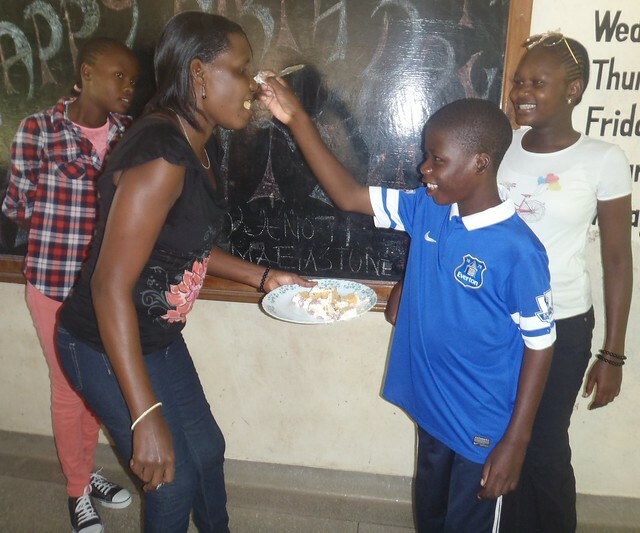 We feel very fortunate to be able to celebrate our McKenna Transition House Day on 6th June, a very special day for the McKenna Family in the UK & Ireland and now their extended family in Kenya. The day started just as any other though deep in my heart I was already celebrating as it was my house birthday, we prepared ourselves for church, we dressed to impress indeed we looked spick and span. We took our breakfast quickly as we were so excited as the plans for the day ahead unfolded. After the church service we started our journey back home, actually I was the first person to board the van and I could feel my heart pumping blood quickly because of the joy that I had. 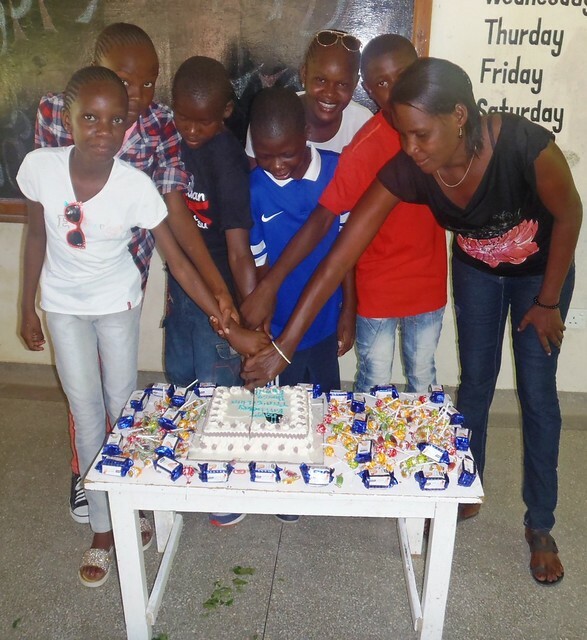 I could see my fellow siblings from the Transition House were also having bright smiles on their faces. When we reached home, we hurriedly took our meals and later decorated the television room where the party was to be held. We anxiously waited for the Pentecostal members so that we could celebrate the day together. All the children sung a very nice birthday song as we were cutting the beautiful cake which was sweet as honey and we shared it among every one present, we also shared sweets and biscuits. 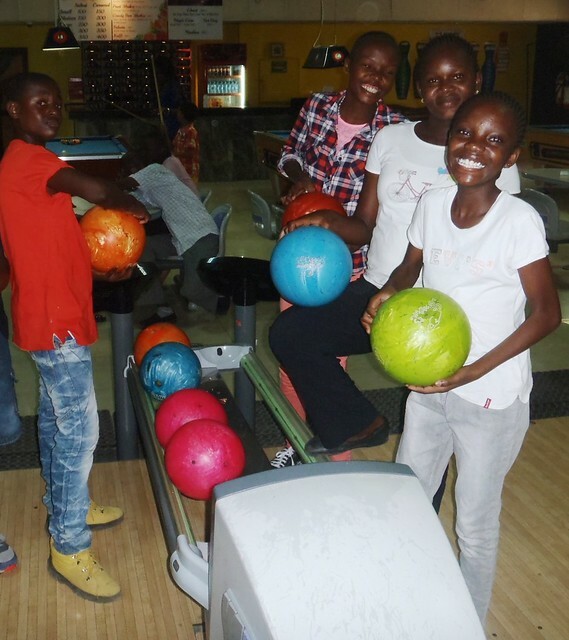 We all enjoyed the party and later both Transition boys and girls boarded the van to Nyali Cinemax where we were going ten pin bowling, this was the first time many of us had ever tried to bowl. 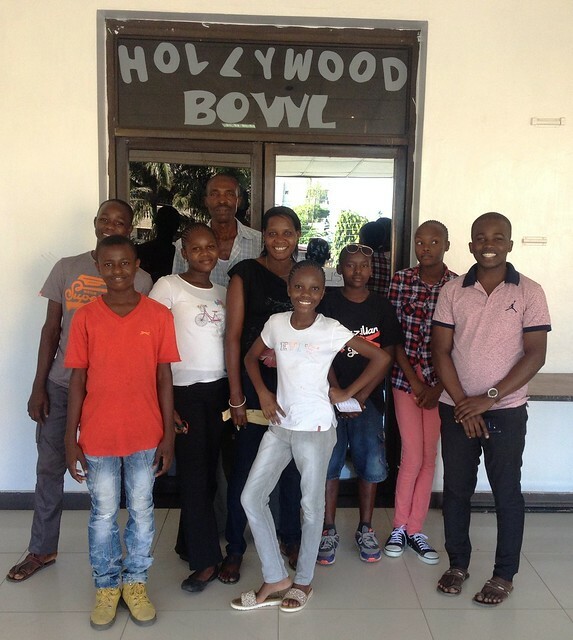 On arrival at Nyali Cinemax Complex we found the room was as beautiful as a royal king’s daughter; each one of us had many chances to play and at the end got to know the winner. Bowling is a very enjoyable way to spend your birthday and our smiles said what we felt in our hearts. Once we had completed the bowling we had another surprise in-store. 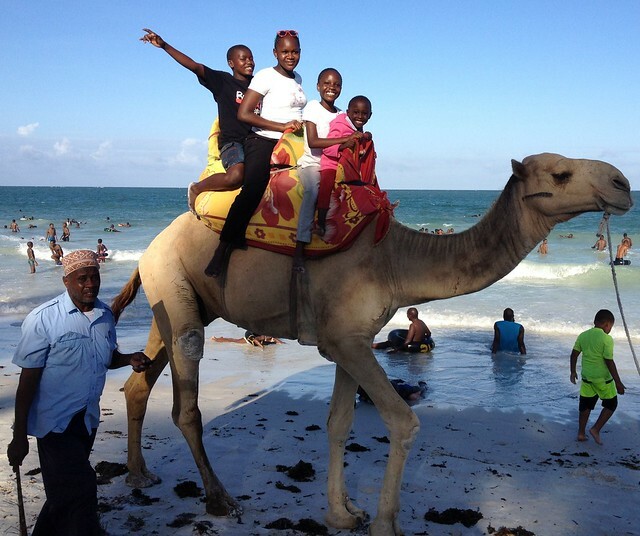 Without delay, we later set off to Nyali beach where we rode on the camels; we enjoyed the ride as it was our first experience. Uncle Hemed bought us some crisps and we enjoyed the cool breeze of the ocean as we ate them watching the world go by. We kicked the journey back home filled with joy as butter exposed to heat, we had some interesting stories about the trip to our loving siblings, indeed it was a day to recall. We thank everyone for organising a wonderful trip. I will never forget the day and our Transition House Donors for making this all possible.